This is a 32 year old woman who had extra skin and fat in her abdomen that she could not lose after having twins. The twins caused her abdomen to be crooked and her right side became much larger than her left side. In addition, due to her pregnancy, she had a separation of her abdominal muscles. 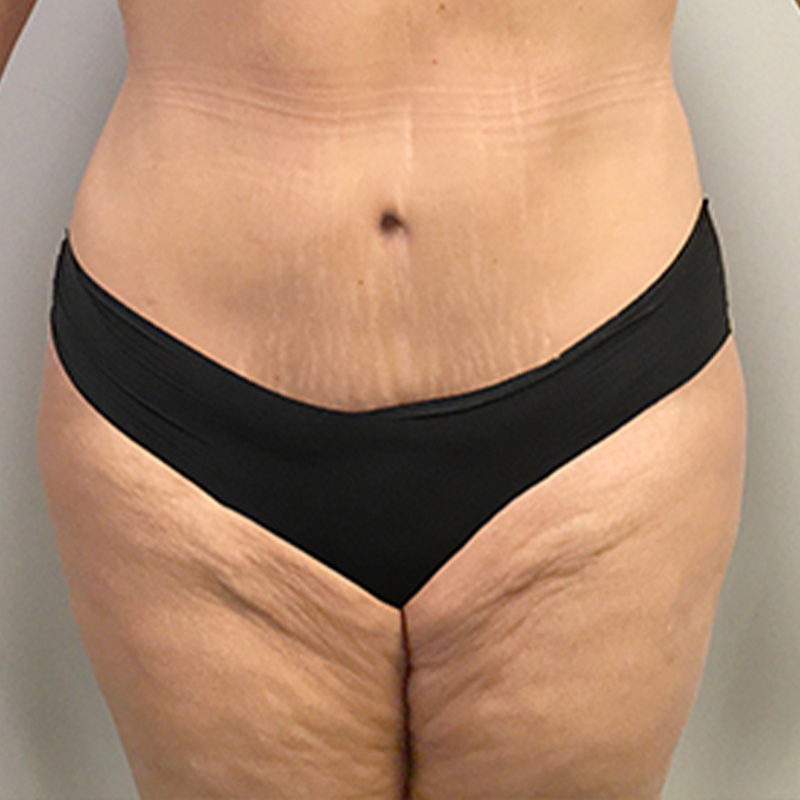 She underwent a tummy tuck, liposuction of her hips, and repair of the separation of her abdominal muscles. She says she is in love with her new figure.